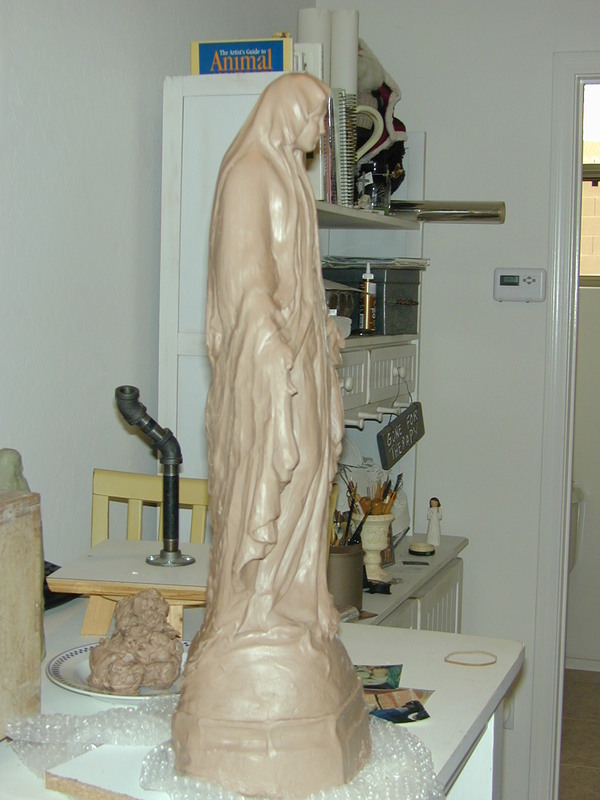 Sculpture is a wonderful expression in the arts, at the moment it happens to be my favorite. 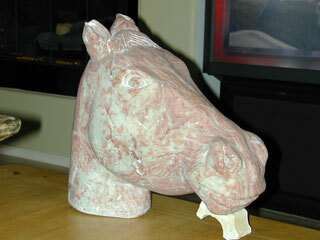 I started exploring sculpture while getting my Fine Arts Degree at Central Ct State. 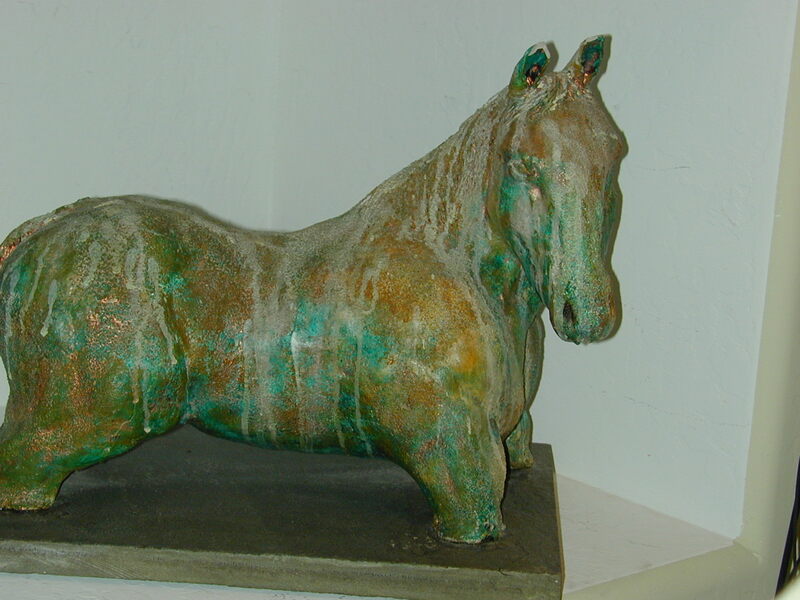 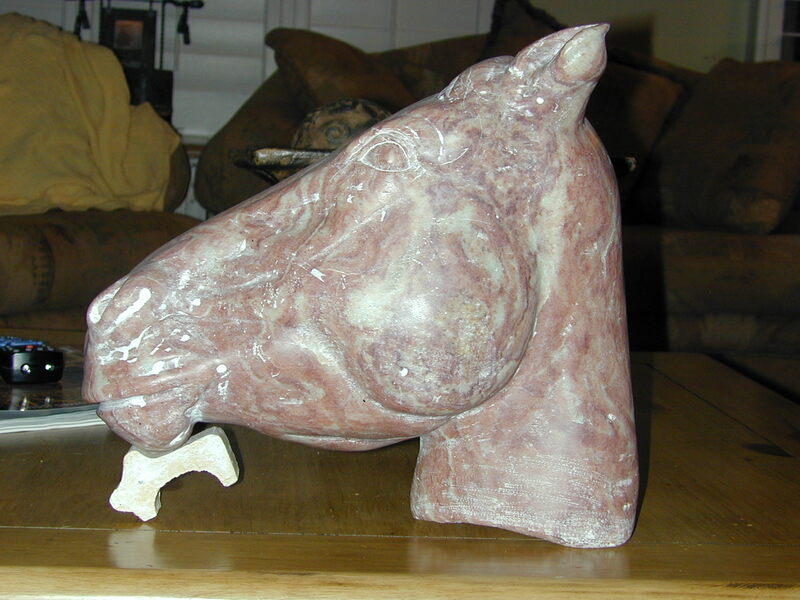 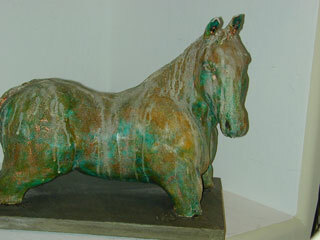 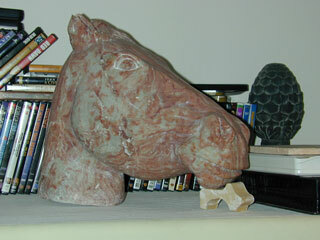 Charlie the quarter horse is metal armature with clay; Alabaster is the stone of the horse head; Mary is made out of clay and can be molded into other mediums for inside or outside exposure. 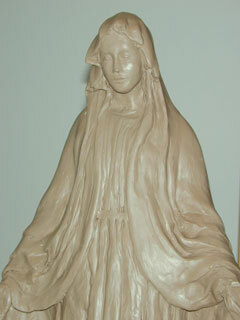 If you're interested in having a sculpture commissioned please contact me. 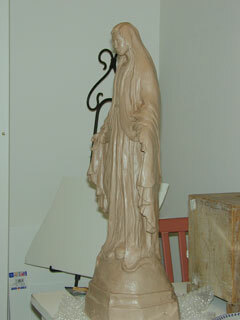 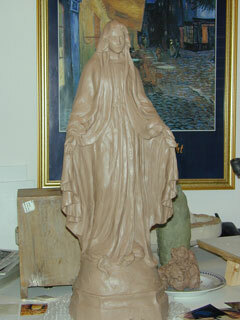 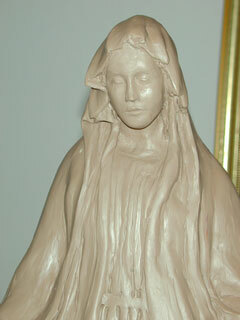 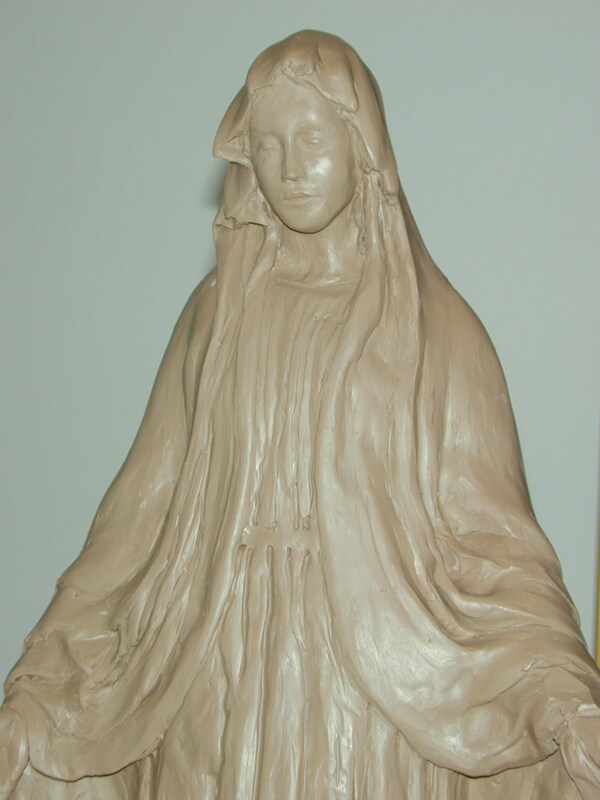 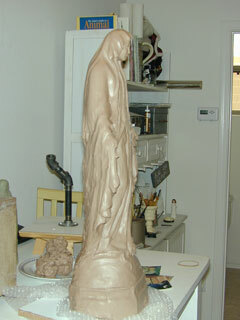 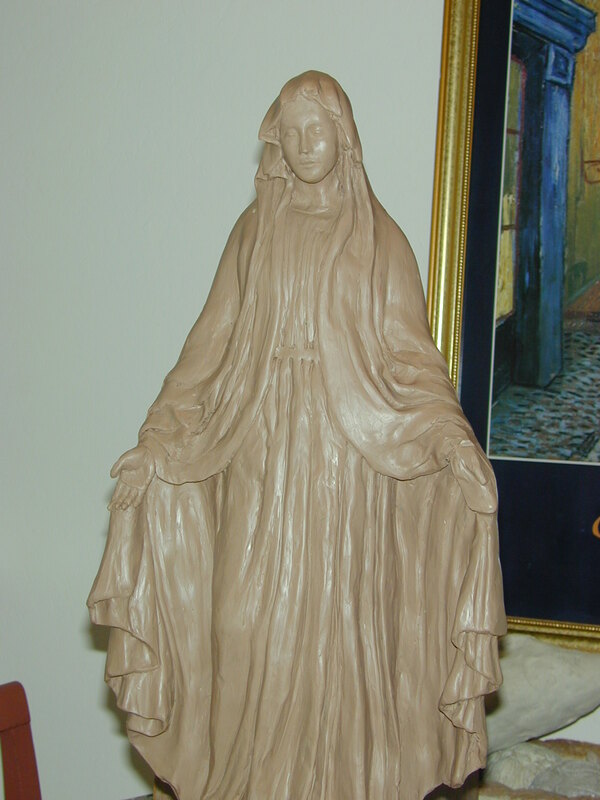 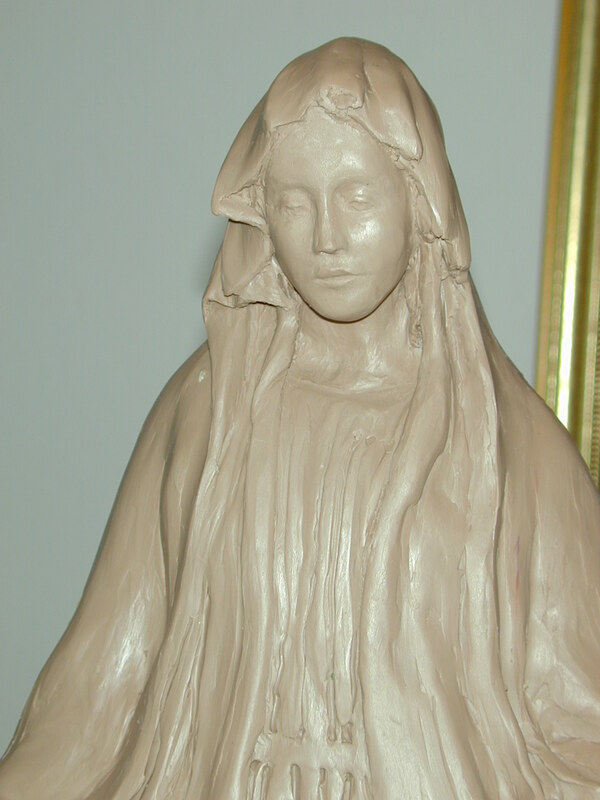 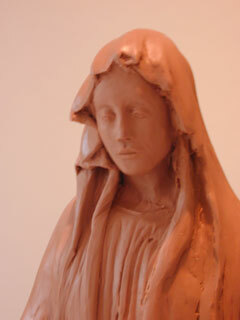 Mary statue is 20 inches tall, made of cement. 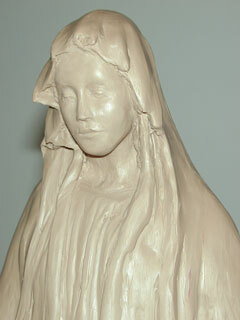 She is a replica of the Medjugorje painting that hangs in the yellow conference building at St. James in Medjugorje. Available for $120 + Shipping. 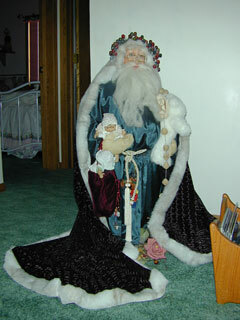 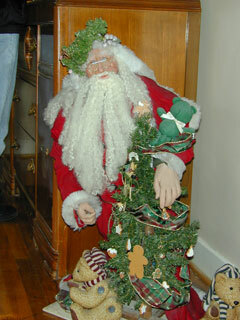 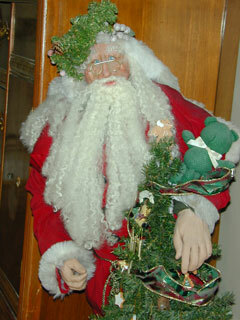 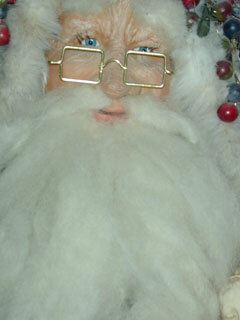 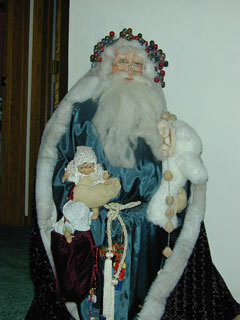 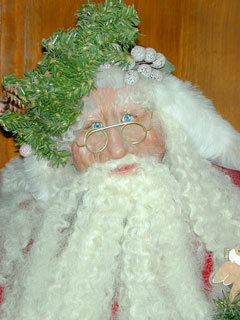 * - These Santa's are sold. 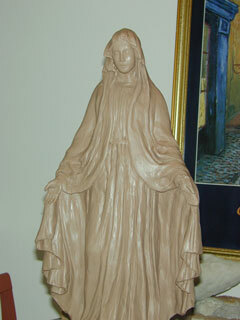 Please contact us if you would like them replicated.